THE NORTHERN spotted owl, pictured above, is a handsome creature. Dark brown and, as the name implies, dappled with white flecks, it stands up to half a metre tall when perched on branches in the ancient forests of America’s north-west. Its swivel neck lets it scan its sylvan habitat for woodrats, flying squirrels and other prey—or, rather, to scan what is left of that habitat, after decades of heavy logging. This logging has caused the owl’s numbers to decline steadily. Fewer than 2,500 pairs remain, mainly in Oregon, northern California and Washington. 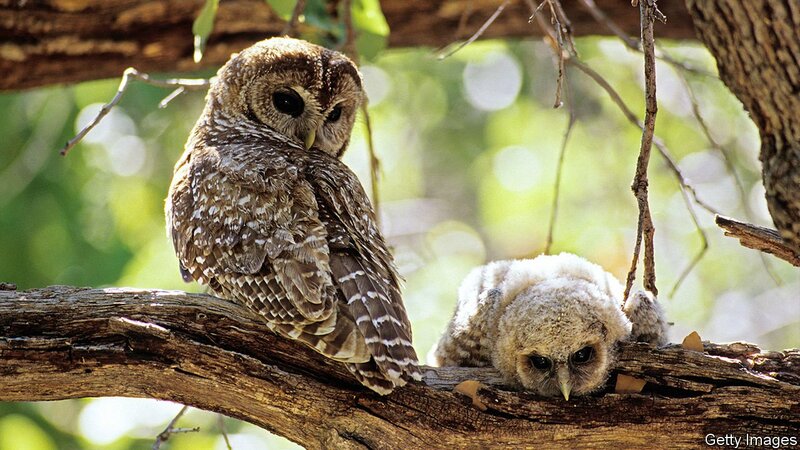 As a result, the spotted owl is listed under America’s Endangered Species Act.